Welcome to the Bee Pollen Hay Fever Experiment. 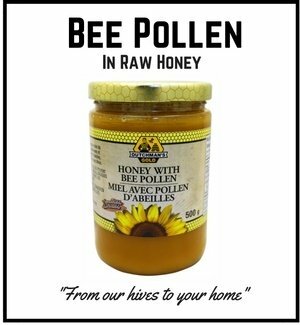 For those of you who have read my article on how to use bee pollen to treat seasonal allergies you're aware that my husband has suffered from hay fever every summer since he was a young child. So, a couple of summers ago we decided to put bee pollen to the test and document his experience using bee pollen for hay fever to see if it really worked. Below is his experience using bee pollen as well as everything else he did to combat his allergies. Now, I know that this is just one case and it won't stand up to the scrutiny of say a 'full fledged medical review,' but it's not supposed too. We're documenting his experience purely for others to find some answers in, to perhaps garner some hope that they don't have to suffer through another summer of sneezing, itchy eyes or drowsiness brought on by another over the counter medication. We'll also fill you in on any thing else he takes or does to either treat or prevent symptoms, whether it be a supplement, a food, a test or drug. We're going to disclose everything! And if it doesn't work and he suffers like a dog, I'm going to tell you that too! I can remember as a child suffering each and every summer from intense hay fever allergies. Starting around June, which is the time that grasses are in the air in the highest concentrations, I'd suffer regular allergy attacks. Violent sneezing, itchy eyes, runny nose and a general desire to be put out of my misery. Over the counter allergy medications never helped much. I tried them all - Claritin, Seldane, nasal sprays...you name it. I remember thinking to myself even as a young boy that it seemed odd that the companies making these things could even sell them when they really didn't do anything except make me drowsey or dry my nose out so badly it'd bleed. In my early thirties now, I've got two decades of allergy suffering to base my thoughts and opinions on. And it's these years of suffering which lead me to research, experiment and test every alternative healing method out there in hopes of curing myself. I was also fortunate to get involved in the natural products industry while I was in university. While working at GNC, I developed an intense passion and interest in natural healing. This lead me to take many courses on natural health and eventually open up my own retail store selling cutting edge vitamins, minerals and other supplements. As a result, I've been fortunate to learn from some of the brightest minds in the world when it comes to alternative health as well as obtain access to the most current and advanced information available on treating allergies and hay fever. Obviously, I take bee pollen and really believe in it. I got good results last summer taking pollen for hay fever but honestly, not great results. It didn't totally eliminate my allergies but it definitely made them better. I'm after great results so I decided to do some more research and give it another go this summer. Ang stressed to me that bee pollen works better the longer you take it and she often hears the best results from people in the second summer of use and beyond. 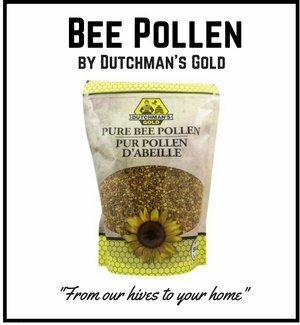 So I stuck with taking bee pollen last fall right through the winter and into allergy season this year. I've been taking 1 - 2 heaping tablespoons daily but as June has approached, I've upped my intake to 3 tablespoons a day. I've also begun taking a supplement called N-Acetyl Cystein. NAC, as it is known, is very effective for respiratory health according to my N.D.. I am taking 600 mg's three times per day and use a product made by Natural Factors. I've also increased my Vitamin C intake to 4100 mg's per day. I know, this may sound like a lot. I was able to discover that Vitamin C helps rid the body of excess histamine, which is a major factor in preventing allergies. I use a 600 mg Ester C product with extra bio-flavonoids made by SISU. And lastly, I'm once again taking a homeopathic allergy product calledPascallerg by Pascoe. I take 3 tablets and let them dissolve under my tongue each day. I took this supplement last summer and I felt like it did help my hay fever symptoms. I would say it helped manage my symptoms better but it certainly didn't eliminate them entirely. I also decided to look deeper into my nutrition this year to see if there could be a relationship between what I eat and how my allergies respond. I know this may sound a little off the wall, but I know I am onto something with this concept. I noticed last summer that when I ate certain foods (dairy being the main one), I'd often have horrible allergy symptom the next day. So I decided to keep a food diary and track my symptoms to see if I could establish any basic correlations. And the results astounded me and Ang. When I ate dairy, I would have bad hay fever symptoms the next day 100% of the time. The other culprit was gluten. Eating things like wheat or oats or drinking beer was another major instigator. Having this info in hand, I decided to do some research to see if I was just crazy or there was something to this. And sure enough, I found many accounts of people with 'food sensitivities' who once they stopped eating the foods they were sensitive too, eliminated most of their symptoms. I also spoke to my Naturopathic Doctor (Lara Armstrong, N.D.) about this and she told me about a test called a Food Specific IgG Antibody Assessment. This blood test measures how the immune system reacts to specific foods. Foods that you are highly reactive can lead to many health issues including hay fever and other allergies. So, I had the test done and my instincts were 100% correct. I reacted very badly to virtually all dairy products as well as almonds. Gluten and sugar cane came up as 'moderately reactive' for me so I was told to limit my consumption of them to once every four days and to totally eliminate the foods I was highly reactive too for the time being. Typically, the first week of June is when my hay fever symptoms really flare up. It literally is like clock work each year. 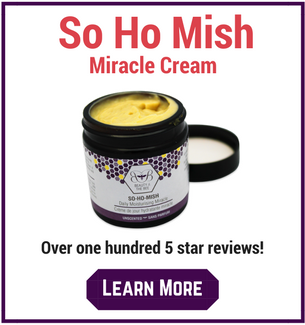 So, I'd been anxiously waiting to put my new found knowledge about nutritional sensitivities and my supplement program to the Bee Pollen Hay Fever Test! As of this writing, we are still in the first week of June. And so far, things are looking pretty good. I've had very limited symptoms so far. Some itchy eyes in the morning with a couple of sneezes is the worst I've had so far. Nothing like previous years where I'd undergo violet sneezing attacks for hours on end. I'd literally be confined to the indoors and unable to really do anything productive. I'm also following a very strict nutritional plan as recommended by Dr. Lara. It involves eating no dairy products whatsoever except whey and no almonds either. I love ice cream so this is going to be hard! I'm also going to miss having a cold summer beer! I have discovered some gluten free beer so hopefully I can obtain a supply of that for the summer. I'm allowed to eat gluten containing foods and sugar cane once every four days. So far, I've stuck to this and it hasn't been to difficult. I just keep focused on how I want to feel this summer - which is to feel normal for once and not always be blowing my nose or scratching my eyes out. Typically, as we progress through June and start to encounter some really hot days here in Southern Ontario and some smog, my allergies get worse. So even though Week 1 is going pretty good, I don't want to declare myself cured just yet. I've had no major allergic events (bad sneezing, running nose and itchy eyes that last for more than 5 minutes) at all so far which is a huge change for me. The only symptoms I've experienced so far have been a few instances of an itchy and scratchy throat and some mild nasal symptoms. This occurred while sitting outside of a bar where people were smoking heavily and cigarette smoke bothers me badly. So, I suspect that I was reacting to the environment I was in. Once I removed myself from the smokey environment, my reaction stopped. Overall, I'm thrilled with how things have been so far. I feel confident at this point in saying that there is a definite improvement in my allergies this year. Knock on wood, something is different this summer. I don't want to get ahead of myself, but my immune system seems to be less reactive to the grasses in the air. While I've had a few mild symptoms so far, they have been totally bearable and not the debilitating symptoms of previous years. It has however, been unusually mild in Southern Ontario this year so this could be helping me. Perhaps as the temperature warms up and we encounter more smog, I may face more issues. Okay, so we're into the second week of June and Week Two of my bee pollen hay fever experiment. So far, my allergies have been much improved over....well, over every summer I can remember! All is not perfect however. I've had my first bad day of the 2009 allergy season. 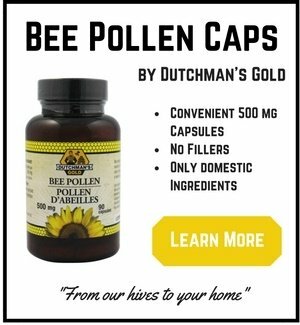 I initially thought all of my efforts had been for naught and that everything I thought I had figured out regarding bee pollen, my nutrition and the improvements I've made weren't so true after all. But that's not the case. My bad day was preceded by a barbecue at a friends house the night before. I had a couple of gluten free beers and a burger. Being careful to avoid gluten at all costs, I only ate the paddy and no bun. Everything seemed fine. No gluten or dairy in this meal so no problem. Fast forward to 6:00 am the next morning. I awoke with a runny nose and sneezing. What the heck? Everything had been so good so far. My symptoms were virtually none existent. So what happened? How could I overnight just wake up with bad symptoms seemingly out of the blue? There had to have been something in the burgers. There just had to have been. I remembered that I made the mistake last year with burgers - they often contain bread or wheat crumbs. So I emailed my friend to find out if the beef paddy's he served were wheat free. Sure enough - there was wheat in the burgers. I had my answer and reassurance that I need to avoid gluten at all costs for now. It's also a reminder that I need to be ultra careful when eating out - there is wheat in everything these days! I think I just might start taking my own food everywhere until I get through the months of June and July. So my allergy symptoms from my 'gluten miscue' lasted for the day. I went to bed still feeling the effects but managed to get to sleep okay. I was worried that I'd be up all night with a runny nose and sneezing but I didn't awake until my alarm went off at 7:00. With the sound of my alarm bringing me to consciousness, worries of another day of sneezing and nose blowing quickly entered my mind. Was I actually making progress with my daily intake of raw bee pollen, my strict nutritional regime and supplement program? Or was I back to square one. I had been essentially symptom free for the first week and a half of allergy season so I had be going in the right direction, didn't I? At least I told myself that. Then I took a quick breath through my nose. It was totally clear. No congestion. No urge to sneeze. Totally dry and clear. What a relief. I was back on track to having an allergy free summer. One bad day was okay and a good reminder that I had to be careful when eating out. Since that 'bad day,' I've continued to have no symptoms whatsoever! It truly is amazing. I've continued to take 2 tablespoons per day of bee pollen, 4 - 5 grams of Vitamin C with Bioflavonoids, 600 mg of NAC and Pascallerg tabs throughout the day. One thing I failed to mention earlier is that I've also dramatically cut down on my sugar intake (on the advice of Dr. Lara). She mentioned to me that refined sugar stimulates the immune system and can make it react for hours. And the less reactive my immune system is, the better. I'll check in with you early next week! So, my Bee Pollen Hay Fever Experiment has entered the third week of June. June has always been the worst month of the summer for me when it came to my allergies so I tend to count down the days left in the month as my symptoms tend to ease up come July and even more so by August. My program has continued to go well and I've made great progress this year in severely reducing my allergy symptoms over previous years. I have had a couple of rougher days though recently. Not the 'out of commission' type days I've had in previous years, but days with some mild symptoms. Fortunately, I've figured out why and it has to do with my nutrition. For example, I woke up today with some mild allergy symptoms - a runny, itchy nose, some mild sneezing. It was bearable but not desirable. What the heck was causing this? I hadn't eaten any gluten or dairy so why was my immune system a little over active? I checked over my food diary to see what I had consumed yesterday. I noticed that on the days preceeding an attack, I had drank a serving of a natural sports drink while I cycled. While 'all natural,' it nonetheless contained a high amount of sugars. I checked back to my food sensitivity test and sugar was definitely on the list to avoid but a food I had gotten a little slack with in letting into my diet over the past few days. So far, my summer has been going really well from a hay fever perspective. I've been totally amazed at how the foods I eat effect my immune system and how it reacts to the pollens, trees, grasses and molds in the air. To say that I've been shocked at how much of a relationship there is between the two would be an understatement. I'm now completely confident in saying that 95% of my allergy symptoms have been eliminated simply by following my supplement and nutrition regime. I had another interesting 'experience' as I entered Week 4 of The Bee Pollen Hay Fever experiment, an experience that further cemented my belief that the foods I am consuming greatly effect how my immune system reacts. As I look back at my decision making process, it is funny how my absence of allergy symptoms for the week leading up to this event made it so easy for me to convince myself that a little bit of ice cream wouldn't hurt. Well, within two hours of eating the cake, I was experiencing an allergic reaction. And I spent most of the night with a runny nose and sneezing. It was a tough reminder of how sensitive my immune system is to dairy products. That being said, I would strongly encourage anyone with allergies to get their food sensitivities tested. It may not be dairy or gluten for you. It may be corn or soy or egg. Or it might be sulphites or almonds or some other type of nut. Most people don't even realize they have food sensitivities because it is widely believed that unless you go into anaphylactic shock when you eat something, you are fine to eat that food. If you get gas or bloating, feel extremely tired, have bowel issues, allergies, or any other type of reaction after eating something, there is a good chance you are sensitive to it and should consider eliminating it from your diet for two weeks to see if the symptoms subside. If they do, you just may be onto something!